New studies show how important dental health, including our gums, is to our overall health. In fact, periodontal disease is linked to other chronic diseases such as heart disease, diabetes and inflammatory diseases like arthritis, cancer, and lung diseases as well as osteoporosis (1). So, it has never been more important to keep our teeth and gums in tip-top shape. When it comes to dental health, you can use essential oils for tooth pain and other common conditions. As we know, the medical community is quick to dispatch drugs to counter the problem, or to even perform incredibly invasive procedures such as root canals, which are surrounded by controversy. Some studies even suggest that 95 percent of cancer patients have also had a root canal (2). These are pretty terrifying statistics. Luckily, nature has some solutions to most dental issues, especially if you are looking for preventative measures. And those solutions come in the form of essential oils and herbal remedies that have been successfully used for centuries. Essential oils have been widely used for a variety of health issues and are even being accepted by many traditional physicians as a viable treatment for illnesses. But the idea of using essential oils in dentistry is still unknown territory for many. What makes essential oils so effective, however, is their ability to be administered by inhalation and by dermal application. And because the molecules in these oils are so small, they are able to quickly and effectively reach their destination.When inhaled, the essential oil can go straight to your brain where it can reach the pain center and other important areas, something many traditional drugs are not able to do, at least without harmful side effects. This gives essential oils an unmatched physiological and even psychological effects that researchers are seeing can provide a powerful one-two healing punch. According to studies, essential oils are also lipid-soluble, meaning they can easily penetrate cell membranes and reach every cell of your body within 21 minutes (3). Essential oils also contain vital oxygen molecules, which are necessary for transporting nutrients to sick and starving cells. This stimulates your immune system and can help to reverse any nutritional deficiencies. Once these oils are in your system,they immediately work to correct or aide any malfunctioning or affected cells (4). 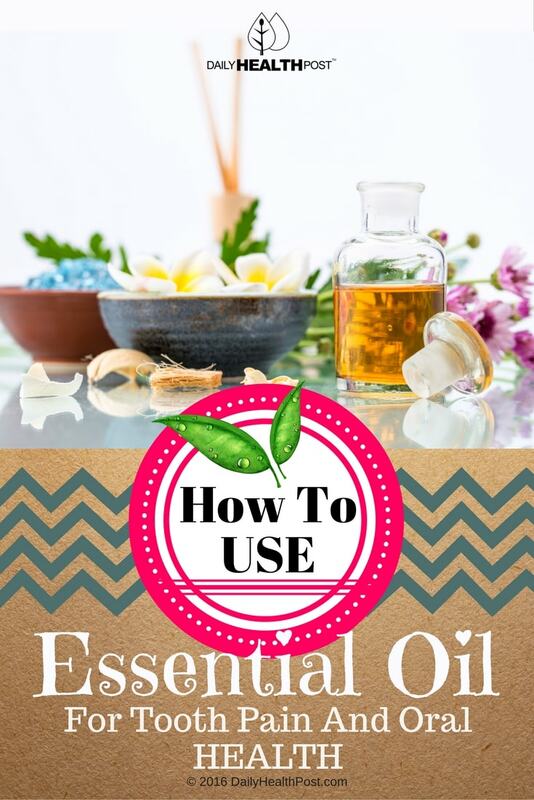 Essential oils can be used in dentistry by applying them directly on the patient’s skin, hair, mouth, teeth, nails, or on their mucous membranes (5). This can be accomplished by simply applying a very small amount (1 to 2 drops) in another carrier oil such as jojoba or coconut oil, massaging it into the affected area, using a warm compress infused with the oil, or simply adding an oil(s) to your bathwater. A widely used application of essential oils is in a practice known as “oil pulling.” The therapeutic oil is mixed with a carrier oil and is swished in your mouth for anywhere from 5-20 minutes. This practice extracts bacteria and toxins in your mouth and in between your teeth by attaching them to the oil, which is spit out. A 2008 study showed that oil pulling (using sesame oil) was so powerful that it caused a reduction in the number of Streptococcus Mutans in the plaque of participants in as little as 2 weeks (6). When it comes to dental health, some oils stand out as obvious choices. Here is a list of 6 of the best essential oils for dental hygiene. Eugenol, the active ingredient in cloves has been widely used for centuries for dental issues, especially pain. Studies show that cloves also inhibit pathogenic bacteria. This oil, when used as an antiseptic in oral infections, can even prevent Gram-negative and Gram-positive bacteria as well as yeast (7). Another 2006 study published in the Journal of Dentistry, showed that clove essential oil actually has the same numbing effect as benzocaine, the traditional medicinal agent used by dentists before inserting a needle into sensitive gums. What makes this amazing is that parents can safely use clove oil for teething babies when they mix it with coconut oil. Simply rub it on the child’s sore gums as you would a traditional topical medicine (8). A 2012 study conducted by the Indian Department of Public Health Dentistry evaluated the ability of clove oil to slow tooth decalcification (dental erosion) by comparing eugenol, eugenyl-acetate, fluoride and a control group. The clove oil “significantly” decreased decalcification of the teeth and was even seen to re-mineralize teeth (9). Cinnamon has been used for centuries for its medicinal properties, which include powerful antifungal and antibacterial agents that are useful for dental applications. Like cloves, cinnamon oil has been shown to be able to reduce intracanal bacteria such as Enterococcus faecalis (10). A 2005 study from New Zealand showed that cinnamon oil also has powerful effects against streptococcus mutans, the bacteria responsible for tooth decay, and lactobacillus plantarum, another bacteria responsible for gum disease (11). Peppermint oil is well known for its ability to attract oxygen and thus being able to kill a variety of harmful bacteria. A study that looked at the viability of specific oils as a therapeutic agent in dentistry, showed that peppermint was among the essential oils that are believed to be a potential preventive or therapeutic agent for various oral diseases (12). Peppermint oil was also shown to be helpful for combating Streptococcus mutans (13). Peppermint oil is already widely used in various toothpastes and mouthwashes or rinses. Spearmint oil is very similar to peppermint—it is a strong antiseptic that can help to eliminate harmful bacteria and germs and heal wounds quickly (14). It has also been shown to have a soothing effect on soft gum tissues. Myrrh oil has been shown to have both antiseptic properties as well as calming and soothing agents. As such, it is often used for gum health and as an oil to help heal painful mouth ulcers. A 2011 study in the International Dental Journal showed that myrrh may have potential as an alternative treatment for dental issues and oral health problems (15). Studies clearly show that tea tree oil has potent antibacterial, antifungal, antiviral and antiprotozoal properties. A 2015 study actually tested tree oil against a popular antifungal cream, clotrimazole that has been known to have some serious side effects. The results showed that tea tree oil is a far better nontoxic treatment for oral fungal infections compared to clotrimazole. Researchers even stated the tea tree oil has a promising future as a potential application in oral health products (16). 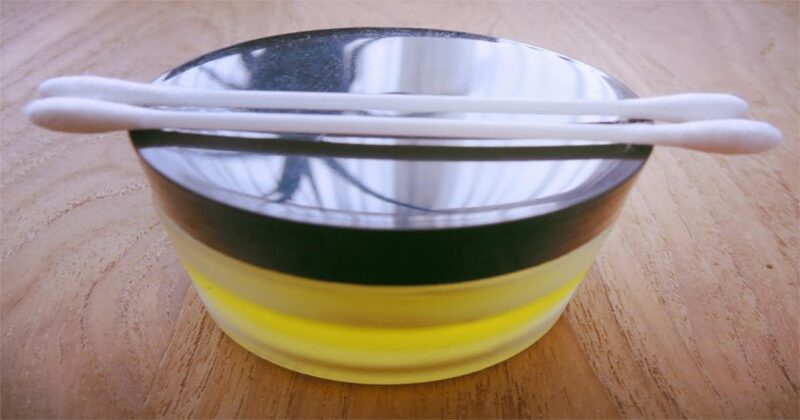 This very pungent oil can not only effectively reduce bacteria, yeast, and fungal infections, it has also been shown to treat a variety of viral infections, including hard-to-treat cold sores (17). A 2004 study further showed that tea tree oil has powerful anti-inflammatory properties when used in a gel that is applied topically to inflamed gingival tissues. The researchers claimed that this oil may prove to be a useful non-toxic adjunct to chemotherapeutic periodontal therapy (18). Another 2015 study revealed that tea tree oil has better antimicrobial properties than standard oral antiseptics (19). And as a treatment for bad breath, studies clearly show that tea tree oil can significantly decrease the bacterial colonies that cause halitosis. This makes this essential oil a wonderful alternative to traditional mouthwashes and rinses that contain harsh chemicals (20). There you have it! Never has it been to ease to use essential oil for tooth pain, gingivitis, infection, and other dental conditions.